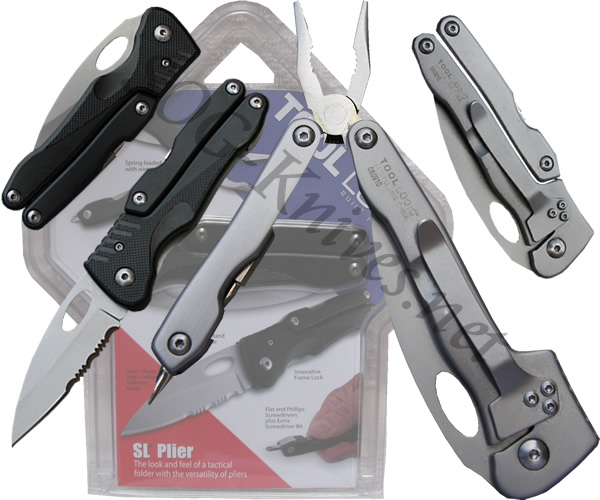 The Tool Logic SL Plier model SLPLY has a 3 inch partially serrated knife blade that can be opened with one hand. The handle folds out to expose some handy spring-loaded pliers. Inside the jaws of the pliers are wire cutters. At the end of the handle is a bit holder that holds the phillips and flathead screwdrivers included with the tool. Own a Tool Logic SL Plier SLPLY? Tell us how you like it! Got a question? Ask! Somebody will answer!